A Jaffe Review - The Leader in Unique Diamond Engagement Rings? 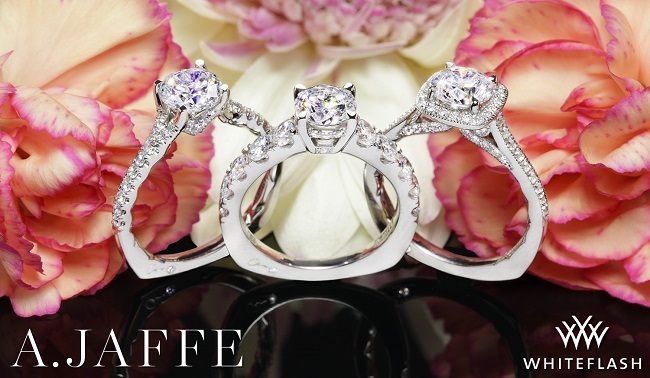 A Jaffe is a New York jeweler renowned for his forward thinking approach. Inspired by a passion for diamonds, Abraham Jaffe opened his shop on Maiden Lane in downtown New York City in 1892. He later moved his business to West 47th Street, the area that eventually became an epicenter for the international jewelry world. The brand’s signature design includes a subtle squaring of the shank to minimize twisting and maximise comfort. The collections include Art Deco, Classic, Metropolitan, and Seasons of Love, and feature halo, pave, halo, side stones, solitaire, and three stone settings. Any of the designs can be customized in order to accommodate the shape and size of your chosen center diamond, and in the precious metal of your choice. In addition to an extensive range of wedding and engagement rings, A Jaffe is also known for creating unique and meaningful customized Map Necklaces. The perfect sentimental gift for a loved one, these bespoke necklaces allow you to select any address in the world and mark it with a diamond. Whether you choose to mark the place you proposed, the place you met, or the place you plan to tie the knot, these iconic necklaces will be cherished for a lifetime. Customized map cufflinks and charm bracelets are also available. This forward-thinking brand prides itself on delivering the highest possible quality with all of its engagement rings – in fact, it takes up to 80 hours to create a single ring. The brand also has a 10 quality checkpoints, which all rings must pass before they are sold. A.Jaffe engagement and wedding rings offer a number of USPs that really make them stand out from the crowd in terms of quality. For example, they employ a longer casting process and utilise an extra burnishing stage when preparing the precious metal. When it comes to the setting, each and every diamond is individually set, whilst each pave bead is handcrafted directly from the metal in order to achieve the smoothest, most luxurious finish and an unrivalled level of detailing. To complete the process, each ring goes through six polishing stages to ensure that its finish is of the upmost brilliance. A.Jaffe’s signature shank design, featuring a subtle squaring of the shank, minimizes twisting whilst optimizing comfort. Each ring is also engraved with the A.Jaffe hallmark, which is synonymous with quality and perfection. 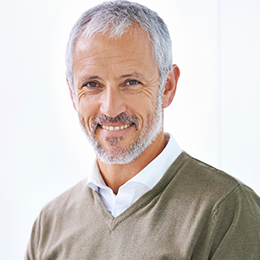 A further indicator of quality is the brand’s commitment to using only the purest precious metals. All of the gold used in their creations, for example is 100% Nickel free, whilst the Paladium content in their 18ct gold is amongst the highest in the industry. So you can rest assured that your engagement or wedding ring will not only offer optimum comfort, but will also shimmer and glisten for years to come. Committed to ensuring that your ring is as comfortable as possible for constant wear, all A Jaffe engagement rings can be engraved with a quilted pattern to the inside of the ring, which will allow your finger to breathe without trapping any moisture. All of the designs come complete with a lifetime warranty, so you can rest assured that, when you invest in an A.Jaffe engagement ring, you will receive quality and longevity. Where can I buy A. Jaffe engagement rings? A.Jaffe engagement rings can only be viewed on the brand’s website however you can purchase in-store from one of their approved retailers including Robbins Brothers and Since1910.com and Whiteflash. I would also recommend reading my Robbins Brothers Review. My final recommendation would be to combine an A Jaffe setting with an A Cut Above diamond from Whiteflash as you can purchase the setting and diamond together, otherwise the True Hearts Diamonds from James Allen are worth considering. They provide fantastic light performance which would complement the setting. It’s true that the extent of A Jaffe’s collections isn’t as diverse as many other designers, but its designs are out of this world, and the quality of products is very high. A Jaffe engagement and wedding rings offer a number of unique selling points that really make them stand out from the crowd in terms of quality as I have discussed above. You can also read my other Designer Reviews including Tacori, Danhov, and Jeff Cooper.